DENVER, Nov. 14, 2018 (GLOBE NEWSWIRE) — Dixie Brands, Inc. (Dixie) announced that it has obtained conditional approval on November 13, 2018 from the Canadian Securities Exchange (the CSE) for the listing of the shares that will result from Dixie’s completion of a reverse takeover (RTO) of a Canadian public company, Academy Explorations Limited (Academy) which will be renamed Dixie Brands Inc. on completion of the RTO. The common shares of the resulting reporting issuer would then be listed for trading on the CSE. Dixie anticipates that the listing will occur before the end of November 2018 and expects that its shares will trade under the ticker symbol “DIXI”. The merger agreement is available on SEDAR on Academy’s home page. A listing statement with information about Dixie and prepared in accordance with the policies of the CSE will be available on SEDAR at sedar.com prior to the commencement of trading on the CSE. Dixie Brands, Inc., which has been formulating award-winning THC and CBD-infused products since 2009, is expecting to double its manufacturing and distribution capabilities in 2019 in the US as well as expand internationally, including Canada. 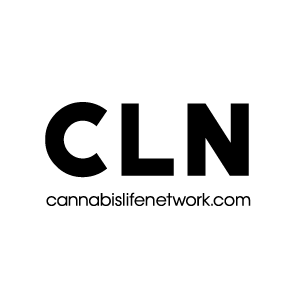 They lead the global industry in the development, packaging design, product innovation and quality control for the commercial production of cannabis infused products. While the company started with a single flagship product, the Dixie Elixir (a THC-infused soda), it is now one of the industry’s most recognized consumer brands, expanding to over 100 products across more than 30 different product categories representing the industry’s finest edibles, tinctures, topicals and connoisseur grade extractions, as well as world-class CBD-infused wellness products and pet dietary supplements. Dixie’s executive team has been instrumental in the formation of the marijuana industry for recreational and medicinal use, serving as founding members on several national regulatory and business-oriented industry organizations. To find out more about Dixie’s innovative products, or about how Dixie is building the future of cannabis, visit www.dixiebrands.com. Next ArticleWhat's better for your health, cannabis or alcohol?